The right of revolution is an inherent one. I feel that we are on the eve of a new era.. Let us have peace. But for a soldier his duty is plain. He is to obey the orders of all those placed over him and whip the enemy wherever he meets him. A united determination to do is worth more than divided counsels upon the method of doing. Our conversation grew so pleasant that I almost forgot the object of our meeting. I never held a council of war in my life. I heard what men had to say - the stream of talk at headquareters, - but I made up my own mind, and from my written orders my staff got their first knowledge of what was to be done. No living man knew of plans until they matured and decided. 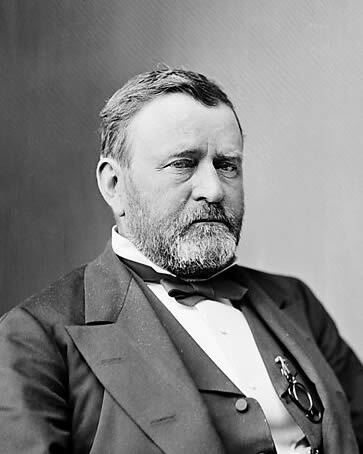 Ulysses S. Grant was the 18th President of the United States. He is also known as being a military commander during the civil war.